Also... the flu. It made another round at my house this week. And when those first feelings of near death made it's way to my door, I'm not going to lie, my very first thought was, "Yippee!! Now I can finish that bag of Cadbury eggs without feeling guilty!!" But then I realized that I have exactly one jillion things to get done. And I was no longer overjoyed by the thought of endless chocolate. (HOW did that sentence even come out of my mouth?!!) Luckily for me, I have had the flu enough times this winter/spring/endless season of depression and despair that I am now apparently immune to it. So there winter. Annnnndddd... I just childishly stuck my tongue out in all four directions...just in case winter was watching. You know what I DO love though? 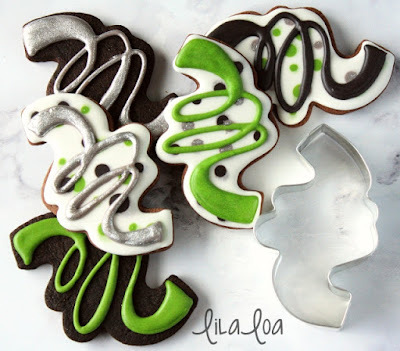 SUPER easy and fun cookies. 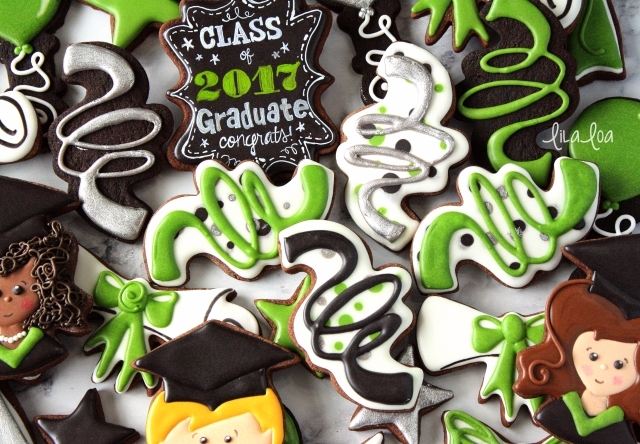 Like these confetti ribbon cookies. You can make a whole confetti background...or NOT. You can spray the cookie black and pipe a fun color on top...or NOT. I'm pretty sure Mother's Day is a confetti holiday, right? And Tuesdays and all of summer. Confetti ribbon all the things!! Want to make some? It's a lot of wet-on-wet, so I just made you a video. Grab the cutters -- CONFETTI RIBBON, BOY GRADUATE, GIRL GRADUATE, DIPLOMA, and the PLAQUE. 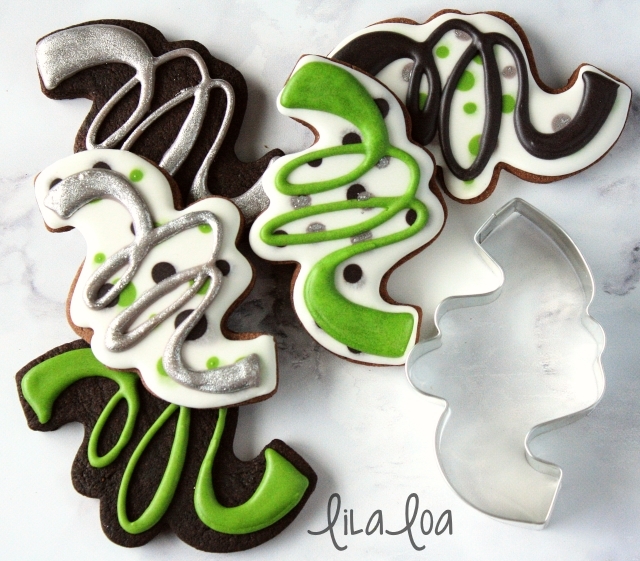 See how I made the COLORED CHALKBOARD COOKIES here. 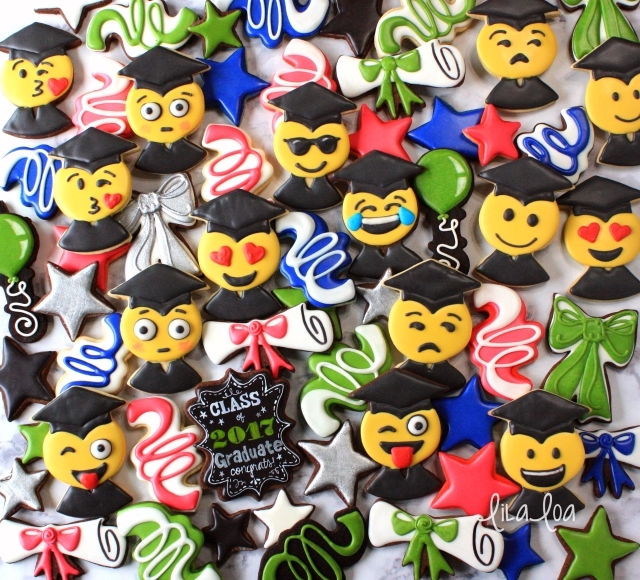 Get the tutorial for the BOY GRADUATES, the GIRL GRADUATES, or the EMOJI GRADUATES.